Domain registered with another provider Domain is registered with StudioCoast Is my domain registered with StudioCoast? 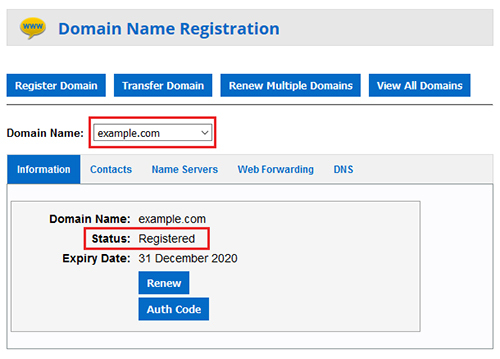 If your domain is registered with a different domain registrar provider and you want to point all its hosted services including Web, DNS and Email to StudioCoast you will need to update your Name Servers. 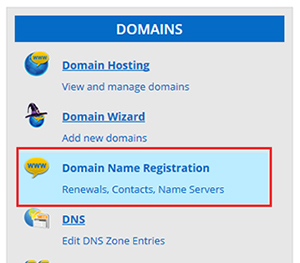 Name Servers are a setting you can change under your account with your current domain registrar provider. Once you have updated the Name Servers, it may take 2 - 24 hours for those changes to propagate globally. If you are not sure where to go to edit your Name Servers, contact your domain registrar's support for assistance. Once propagated, your hosting services including Web, DNS and Email will all point to your hosting account with StudioCoast. This also means you can start making any chages you need to the DNS in hostControl. If you aren't sure whether you have your domain registered with StudioCoast or not, you can either contact our support or login to your hostControl account, then select the "Domain Name Registration" menu item from the Domains section of the menu. If your domain is registered with StudioCoast it will be listed here.